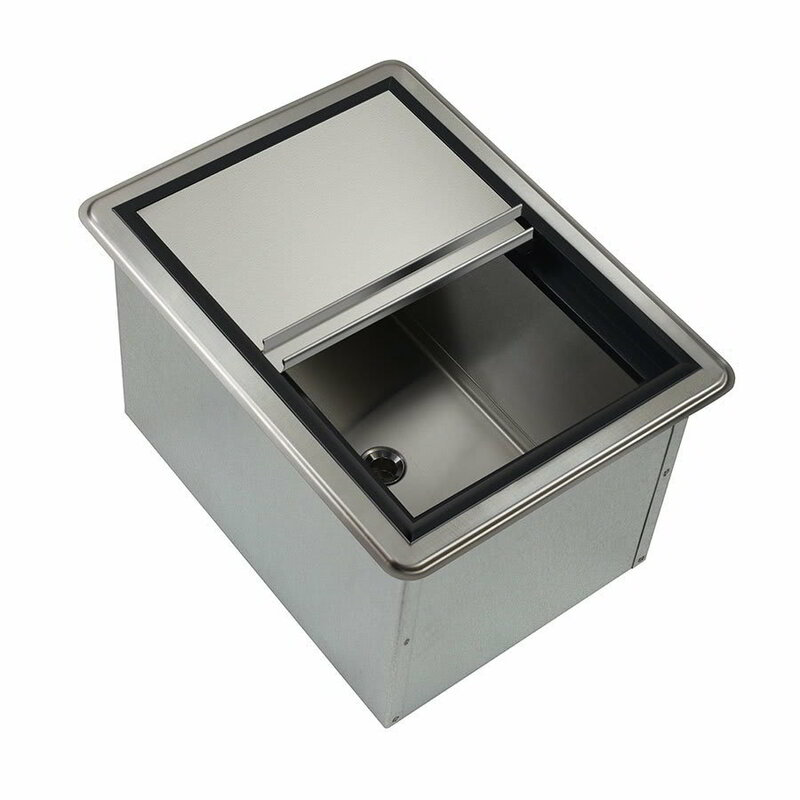 The Krowne D278 drop-in ice bin is best-suited for use in behind-the-bar and underbar operations. With a capacity for up to 50 pounds of ice, this model is fully insulated and comes with a two-piece sliding cover for maximum efficiency. This ice bin does not include a cold plate and requires a one-inch IPS drain connection for installation. The ice bin interior and sliding cover of the Krowne D278 ice bin are both constructed from 20-gauge stainless. Although the liner has a 10-inch depth, the unit has an overall depth of 12 inches and requires a cutout that measures 181⁄4 inches by 131⁄4 inches.